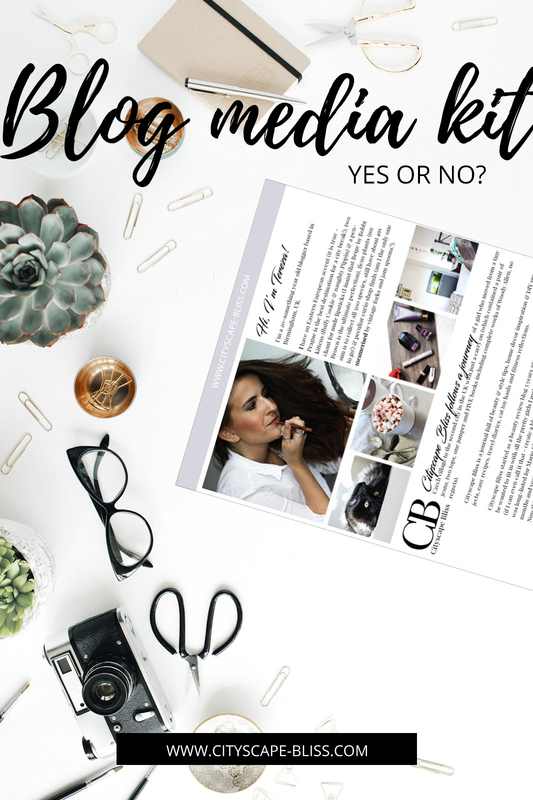 Blog media kit – yes or no? For years I believed that a blog media kit is some sort of pretentious nonsense. And I have found out the hard way that it isn’t. I know that now. If you’re looking to work with brands, influencer marketing agencies and become a credible blogger then you NEED a media kit. This is how you’re going to differentiate yourself from those bloggers who send ‘shopping lists’ to PR agencies. Who don’t know their own stats. Who hashtag #PRrequest on the newest beauty releases. I know that the prospect of working with H&M, receiving free Jo Malone perfumes & going for free dinners at Michelin star restaurants makes your hands tremble with excitement (mine do too) but you know, if you mean business then you have to present yourself like one. A media kit will change your life. That’s all your media kit really is. You introduce yourself, your work, your experience & accomplishments and how others can collaborate with you. It’s as easy as that! Just like a CV, your media kit can be 1 page short or 3 pages long. It depends entirely on you. Including a rate card is completely up to you too! Media kits come in all sorts of types & forms. You can either make your own (I made mine in Photoshop but you can also use Word – find a full tutorial by Katy Widrick here). Or you can download a free template (they are ever so pretty & easy to use, Nagi from RecipeTin Eats has one available here). If you want to go all out you can buy a template from my shop (they are now £10 only £5 until the end of July! ), Etsy or Creative Market. 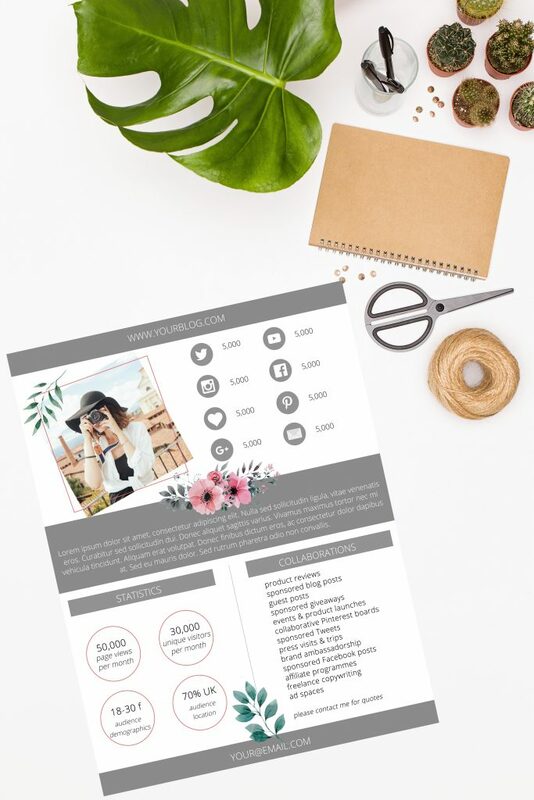 Okay, I’ve just spent 5 minutes on how beautiful your media kit can be but the fact is that it can be as plain as an e-mail if you craft it skillfully with all the essential information. Emphasise your growth. Throw in where your audience comes from. What age they are. Highlight what your niche is. Why you’re different to those millions of blogs out there. Mention who you’ve worked with before. Even gather a testimonial or two from the brands you’ve worked with! It bewilders me that some bloggers are the loveliest through their writing & social networks yet once it turns to business enquiries they turn into sour pumpkins. If you’re kind on your blog then why wouldn’t you be kind to people who are offering you opportunities and perhaps also income? Being professional doesn’t mean you have to be the Apprentice, just be the everyday yourself. Feel free to use an emoji here and there, make a joke or reference your cat if that’s what your usual communication looks like! As long as you’re keeping it professional then a touch of light humour can’t hurt you. 📈 Sell yourself & your blog! 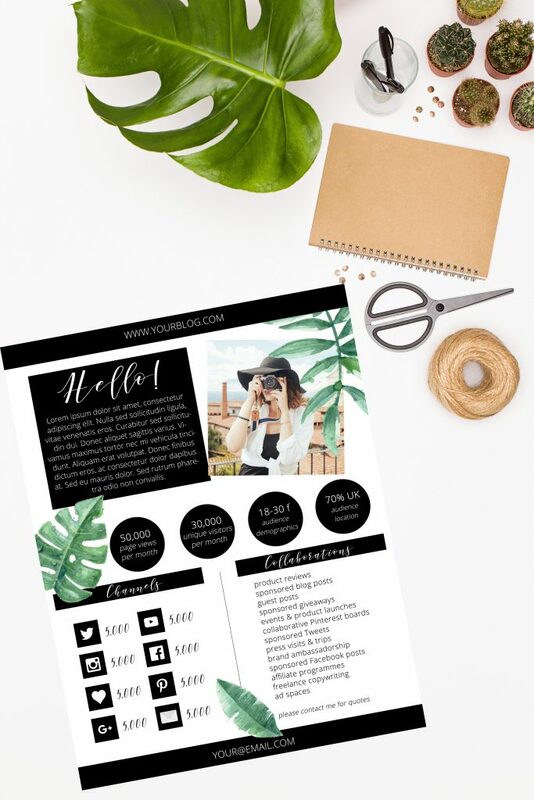 Now you’ve got your media kit (or at least a nifty e-mail template with a brief overview of a media kit content) you are on a mission to sell it. Don’t just go trawling the internet for PR contacts. Focus on the ones you’ve worked with before or you’re working with right now. Ask them to put it on file for their colleagues, to keep you in mind for future opportunities. And don’t forget to proofread it & then of course – keep it up to date!! What are your thoughts on them – are they just a pretentious presentation of a blogger or are they a priceless piece of one’s profile?